Comment on this article. When commenting, please post a concise, civil, and informative comment. Chris Martenson is a former biochemical scientist. Currently he is a writer and trend forecaster interested in macro trends regarding the economy, energy composition and environment. He is the founder of PeakProsperity.com. See Chris Martenson's article archives. © 2013 Copyright Chris Martenson- All Rights Reserved Disclaimer: The above is a matter of opinion provided for general information purposes only and is not intended as investment advice. Information and analysis above are derived from sources and utilising methods believed to be reliable, but we cannot accept responsibility for any losses you may incur as a result of this analysis. Individuals should consult with their personal financial advisors. 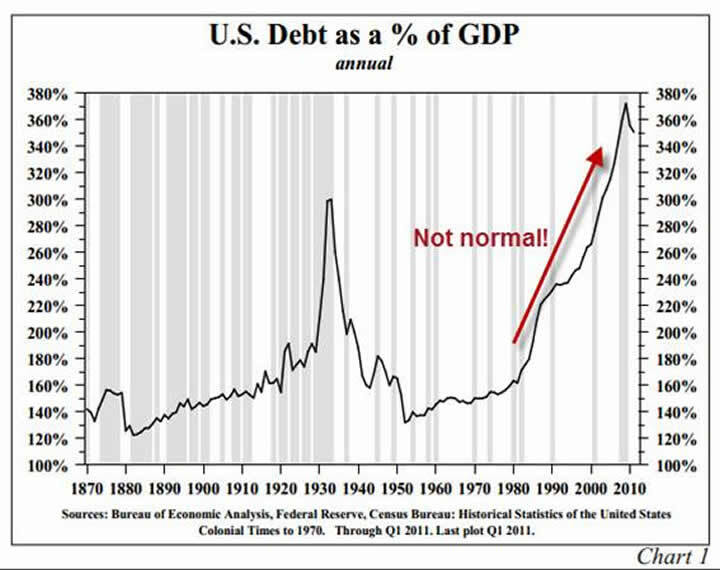 Why, exactly, would U.S. corporations, households, and government borrow more than $500 trillion over the next 30 years? 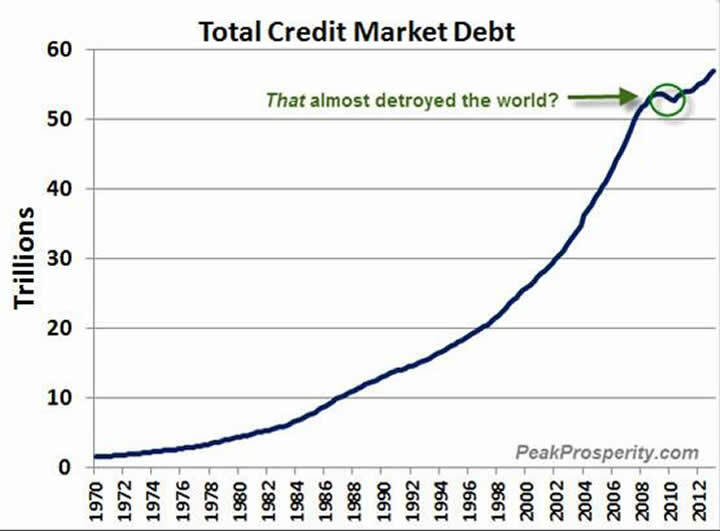 Well, someone may well have said in 1983 why borrow $55 trillion and part of the answer is of course that we will not be talking in dollars of the same value. Obviously I do not know in advance how this will precisely pan out anymore than anybody else, but there can be no disputing there will have to be a major adjustment. 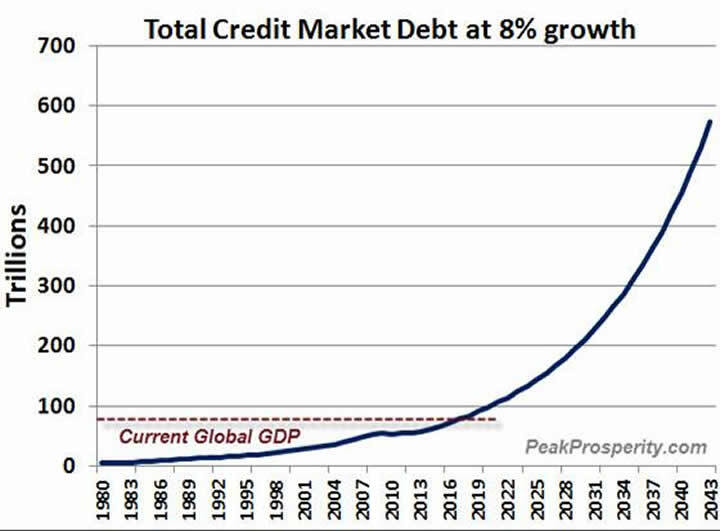 Part of that will entail default on obligations, but part of it will entail currency devaluation so the nominal numbers might not mean quite what we think.